Is there something you're struggling with when you sharing the photos by your digital picture frame? -Is the picture frame stuck very low resolution, having trouble with viewing pictures with background music? -The screen froze time after time? -The digital frame or remote was huge and bulky to use? -Your photos still look washed out and displayed distorted? 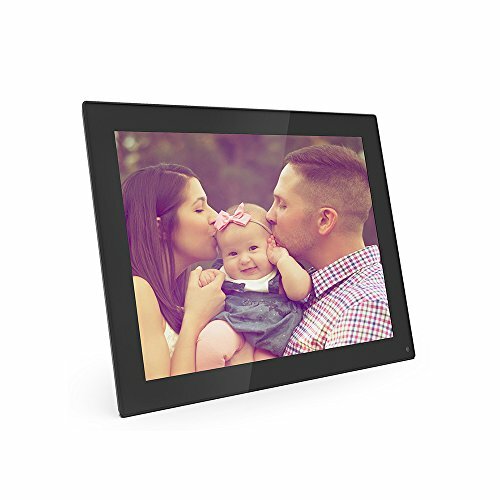 Our slim and fashionable designed digital photo frame can solve all your problems and let you enjoy the wonderful time with your cherished ones! 【High Resolution LED Screen】Instead of using LCD at other manufactures, LED technology is adopted in our digital photo frames to meet customer requirements. With ＜LED display＞, our picture frame have a adjustable brightness, lower power consumption, better visual angle and higher refresh rate. With＜1024*768 resolution＞, you can view photos quickly and clearly. 【Support Auto Slideshow with Background Music】It has the ＜auto slideshow＞ feature which can show the pic automatically with ＜backgound music＞. 10 kinds of adjustable slideshow speed and 10 kinds of slide show transition effects. 【Plug-and Play & 16GB Memory Card】Set up in under 1 minute. Plug the AC adapter into an outlet and the other end into the DC slot of the frame. Remotely view and manage the photos on your frame with ease. ＜16GB thumb portable memory＞ is included, frame accepts USB & SD/SDHC Card. 【Clock /Calendar Function】Built-in ＜clock and calendar＞, auto on /off set up. Our frame will also give you a great user experience with the stereo speaker (2*1W) and earphone. 【Warranty】One month free return back, 3 months for change, 1 year for repair to offer a satisfactory service.